Most Sundays at church I get to stand on the platform at some point and look out at all the brave souls who have made it to church that morning. I say ‘brave’ because I think sometimes (most times?) the well-dressed, sweet-smelling, generally-got-it-together people looking back at me are not really indicative of the true story of what it took to get them there! Jesus committed to building it and He intends to come back for it and until then it’s the hope of the world! It’s the means by which Christians are built up in faith, pointed to Jesus and mobilised for His mission. It’s a community that can reveal and represent the love of Father God to those yet to encounter Him. It’s a mechanism to mobilise those who’ve experienced the greatest of love, mercy and grace to extend it to the least and the last to bring transformation to the world. I love the Church – even in all her brokenness and dysfunction. I am grieved anytime the Church falls short of all it can be and do. I hate when the Church does a bad job of showing Jesus to others and advancing His gospel. I am disappointed when people are let down by the Church. I am eternally frustrated by those within who have such negative and critical things to say about her. But then I remember why. Because the Church is me. It’s you. It’s not an entity or organisation beyond the people who are in it. 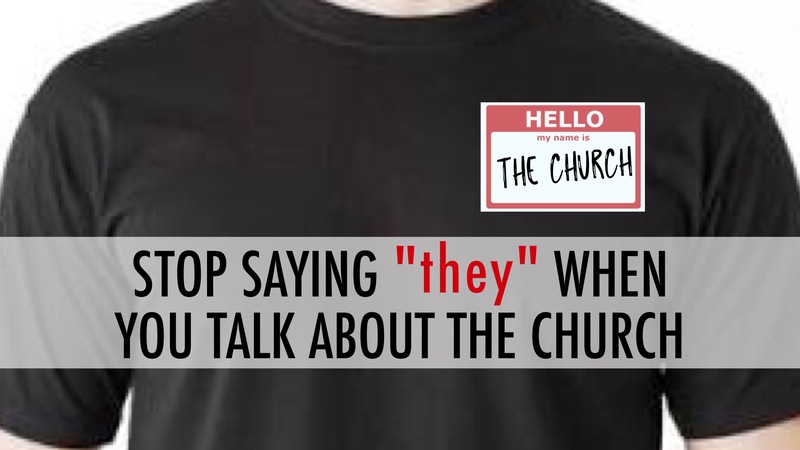 You are the Church. You are the “they”. Of course, each church will have its leadership and many will have paid staff of varying sizes and makeup, but these roles aren’t the Church. They exist to help you and I to be the Church. God calls us to connect to a faith community and invest ourselves in it. He gifts us to serve one another so we might experience and express the fullness of that and so together we might be a force for His Kingdom in our local area and beyond. 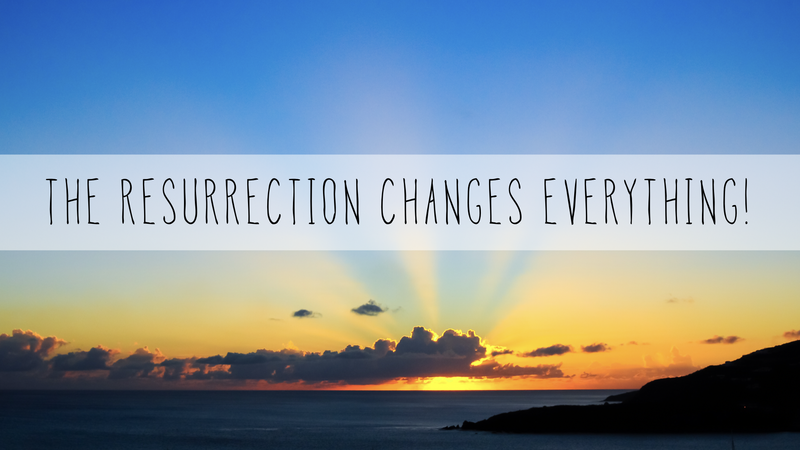 To see the broken restored, the wounded healed, and the bound set free in Jesus’ name. So if “they” are not doing something right, enough or at all. If “they” don’t have suitable programs for specific demographics, sufficient leadership or quality of volunteers. If “they” haven’t got the budget for further facilities or to staff opportunities. If “they” aren’t active enough in the community. If “they” aren’t welcoming of new people. If “they” aren’t providing mentors or developing leaders. If “they” aren’t employing new technologies or advocating for justice or … or mowing the lawns frequently enough! Let’s remember who “they” are. God gives vision and authority to leadership to guide us. But He gives each of US to our churches to partner with Him in His ministry and mission. When you speak of ‘the Church’, you’re talking about me, you’re talking about you! My Kids Hope friend was away from the school the day of our last session for the year and so I had to leave her Christmas present with her teacher. It was a bit sad not to be able to enjoy that moment of giving and unwrapping but I left her a little note telling her I was excited to see her again next year. On Sunday, one of the teachers from her school who attends our church gave me a card from her. A delightful hand made one that thanked me for her “preze” (pressie) and said that she too was looking forward to spending time with me again in 2013. It was a beautiful, heartwarming thought. It probably goes without saying (but let’s say it anyway) that gratitude is a great virtue to foster. It’s good for the person who IS grateful and it is so encouraging for the people that we’re grateful FOR! Christmas is a time that we are given MUCH! Firstly, the gift of Jesus – the whole point of Christmas! In the Bible, Paul says we thank God for that “indescribable gift”! But then we are given a whole lot more. We receive gifts, we receive the hospitality of friends and family, we receive the love and relational connection of people near and dear to us … we get lots!! Of course, we in polite society would always say ‘thank you’, but to foster a spirit of gratitude and to express gratitude takes a little more intentionality and effort. Encourage your children to write thank you notes to people who’ve given them gifts. It will help solidify in their minds who gave them what as well as being a delightful surprise for the people who receive them. Take a thank you card or gift with you to the family who hosts your various celebrations. You know what it means to have people over for Christmas (that’s why you voted to go to theirhouse) so a little bit of thankfulness could go a long way. Take time to pray together and thank God for His indescribable gift to us at Christmas time. “12 thoughts of Christmas” #7: Party Time! Yesterday was my sister-in-law’s birthday so family and friends had gathered at her house to celebrate with her. A friend made a stack of macarons and stuck some candles in a few of them. We sang, we hip hip’ed and then she blew out the candles. Then her 1 year old daughter wanted a turn, so they were re-lit and she blew them out. Then her 3 year old wanted in on the action, so they were re-lit and she blew them out. Of course, the cousins had to have a turn … as did all the other children that were gathered. By the end of lighting, blowing out and re-lighting there was hardly anything left of the candles and we were finally able to get into the macarons!! You’ve all no doubt been there before. You’ve scraped the wax (& a little bit of spit) off a cake after some enthusiastic blows! You’ve had the party hats and balloons, wacked the piñata, played pass the parcel, eaten a few footy franks and the odd slice of fairy bread. We do birthday parties! From the quiet family gathering to the themed extravaganza; the BIG numbers that need extra acknowledgement to the years that slip by relatively unheralded (or mentioned out loud); the McDonald’s hosted to the ‘hostess-with-the-mostess’ home party … all sorts, sizes and locations. Birthdays get celebrated well in most households and families. So, given that Christmas is essentially Jesus’ birthday party, what part does that play in your Christmas gatherings and traditions? Does He get a mention Christmas day or does He get lost under the tinsel and mountains of discarded gift wrap? How do you acknowledge Him on the actual day? I’ve heard of families that have a birthday cake for Jesus as part of their Christmas lunch. Others read the Christmas story together before they open their gifts. One family reveals baby Jesus and adds Him to the nativity scene. Some will honour Him in their prayers of thanks when the family gathers around the meal. I recently heard a child excitedly noting that Jesus’ birthday is one of the only birthdays you ever get to celebrate where you GET presents as well as GIVE them – that’s how generous and kind Jesus is! What about you? What do you do? How do you include Jesus in His special day? Share some ideas below. The central message of Christmas is one of sacrificial giving. The God of the Universe gave His only Son, Jesus – born in a manger, killed on a cross, raised to life – so that we might experience the ultimate gift of Salvation. While all sorts of other things will compete to crowd out that truth … the reality of this incredible gift needs to draw us to a different heart posture and a different response. The Christmas season provides us all manner of opportunities for self-indulgence or to facilitate the self-indulgence of others, it takes a fair degree of intentionality and a whole lot of clear communication to write a different story for ourselves and our families. Here are some ideas for ways to foster an outward focus during the Christmas season. Give gifts that support other causes. Many organisations have developed creative ways to give to need locally and around the world through unique gifts such as a goat, a toilet, a well or a mosquito net given on behalf of friends and family. You can talk about them at home in the planning stage and then you have further opportunity to speak to it when the gift is exchanged. Serve together as a family. Shop together to buy food or gifts for families in need. Deliver hampers or food through your church or a welfare organisation. Donate time to wrap gifts in a shopping centre. Serve at a community meal. Open your home. Invite someone in who doesn’t have family to spend Christmas with. Include a family for a meal that might otherwise struggle to afford a more ‘special’ celebration. Do an ‘open invitation’ for a Christmas Eve or Christmas night drop in time so people have a safe and hospitable opportunity to connect with others over the celebration period. Perform random (anonymous) acts of kindness. Pay for the person behind you in the drive through at McDonald’s. Offer to return someone’s trolley to the bay. Leave $20 toward a person’s petrol while you’re inside paying for your own. Leave a cake or some Christmas goodies on the doorstep of a neighbour. Handwrite Christmas messages and post them or leave them under someone’s windscreen wipers. Include the WHOLE family in your planning and giving. 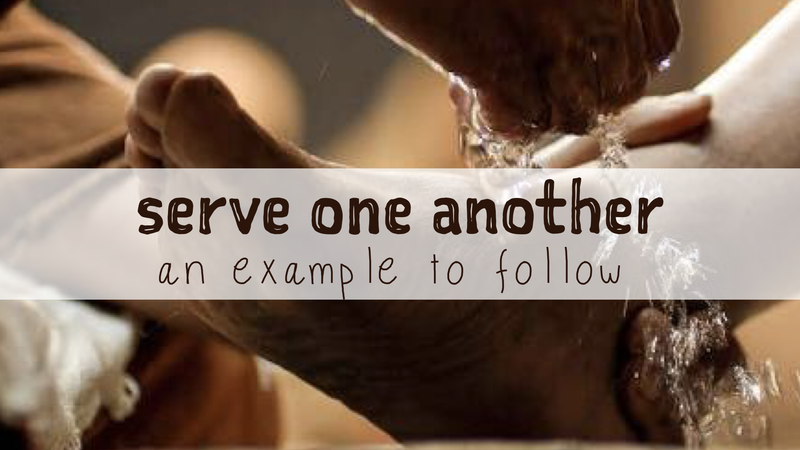 As a family, discuss the ways you can be generous together – how will we serve, who will we bless? Wrap presents together so everyone knows what you’re giving to family and friends. Handmade is always a special touch – include children in baking/icing/decorating or in making cards, wrapping paper or tags. What ideas have you seen/heard of? What have you tried yourself? What have you been the recipient of and how did it bless you? How can we make sure the greatest gift of all to us incites a gratitude that inspires giving?